I2C library (assembly) C coming soon..! For all those students and hobbyists who are looking for microcontroller 8051 projects in assembly language. Ten latest projects based on 8051 are available for download. Here is the list of projects available. 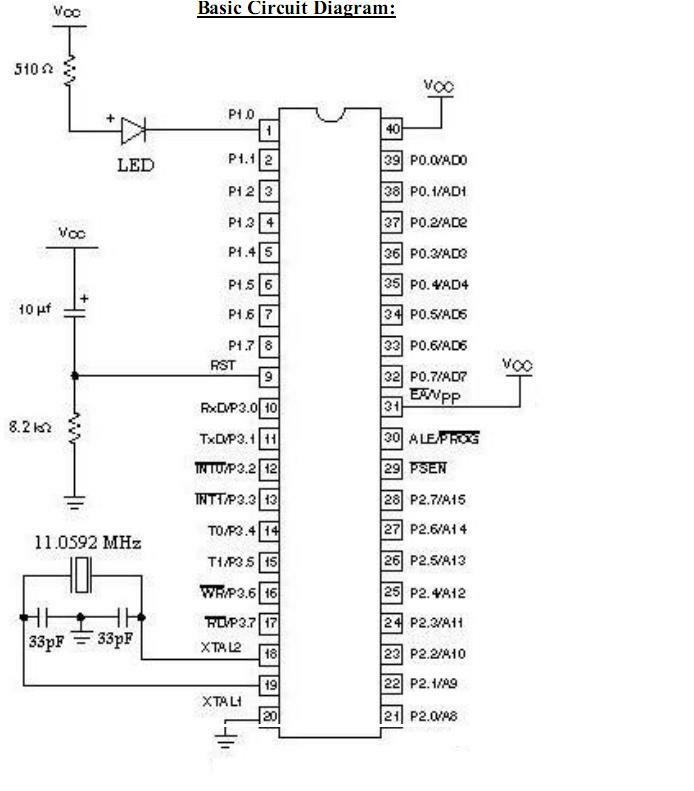 A very simple easy to make Frequency counter project. 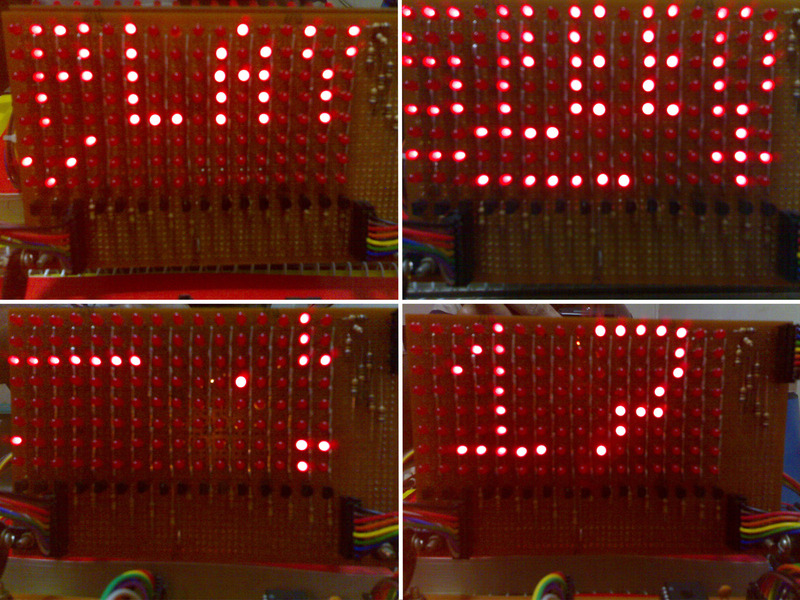 This project is powered with small AT89C2051 microcontroller with LCD. Block Diagram of circuit is shown below. It can support a wide range of frequency input starting from 1Hz to ~16.5Mhz, rest depends on pin characteristics. There has been some problems, some modifications needed in the GreenBee project made By Amit Radhakrishnan. 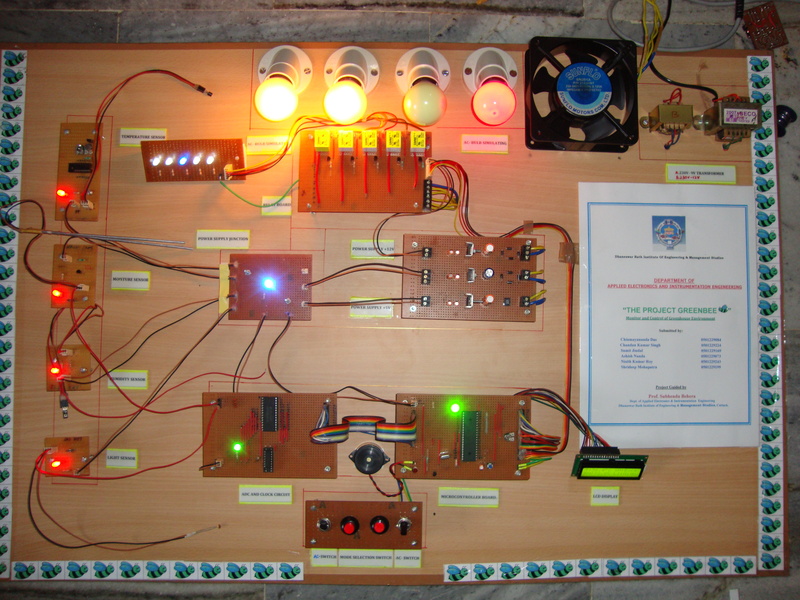 Chinmayananda Das and ricky17 (from forum) took the challenge to make this project working again. After so much of hardware, project is Up and working. This 8051 project demonstrates generation of pure sine wave with the help of PWM technique where the original sine wave is divided into n number of small segments or samples. These samples are regenerated by 8051 controller to recreate the original sine wave. You all might have played the famous game of all time "Snakes" on your Nokia mobile phones. Inspired from the same Sandeep Sasi went far from just playing the game and thought of implementing it on 8051 platform.